A very talented cast portrayed the stars of the show. There comes a time in our life when we wish the surrounding environment around us would last forever. The friends you have, the place you live, the life you live…. you don’t want it to ever end. It’s the greatest time of your life, and if you’re lucky you know it. Unfortunately, many of us don’t realize this time in our life until it’s too late. How I Met Your Mother depicts five New Yorkers in the best time of their lives. It hit really close to home with me because with recently graduating college, I know the feeling and bond that these friends shared with each other. I’ll forever hold my college years at Central Michigan University in a special place. I’m not sure I will ever top the times I had with my five friends. The adventures, drunken nights, conversations we had, and emotions we shared cannot be duplicated. The relationships I built in college resembled the friendships from HIMYM. The relationships I formed with my college friends, is the exact same relationships that Ted, Marshall, Barney, Lily and Robin form with each other throughout the series. It’s a special bond. It’s a bond that you desperately want to hold on to, because when it’s gone, it’s gone. Back for more, our main man Master Higgins must cross eight islands to save yet another princess. After completing Adventure Island for the Nintendo, I decided that it gave me a good break from beating PS3 games. I enjoyed the toned down graphics and stories. Nothing too complicated about Nintendo games other than the difficulty of actual gameplay. So while I’m currently playing the Ratchet and Clank HD series remake, I switched up to play Adventure Island II, hoping that the developers improved on a fairly decent platform game. 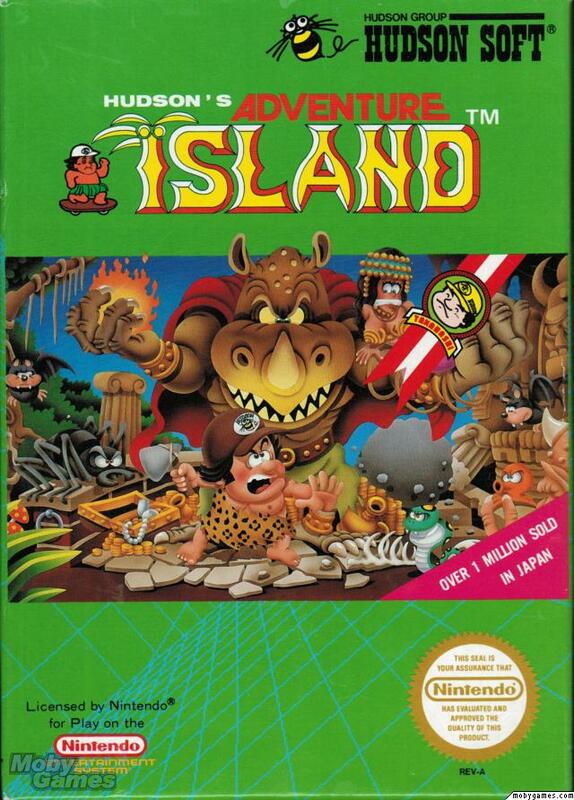 To my surprise they did, and I was able to beat Adventure Island in about six hours. So who helped Master Higgins this time around and who was this new princess he was rescuing? Well, read the review to find out. Did the final Sly Cooper for the PS2 steal my heart? What a way to end the series on the PS2. This game took everything that the first two games offered and put them together to make a fantastic third game in the franchise. 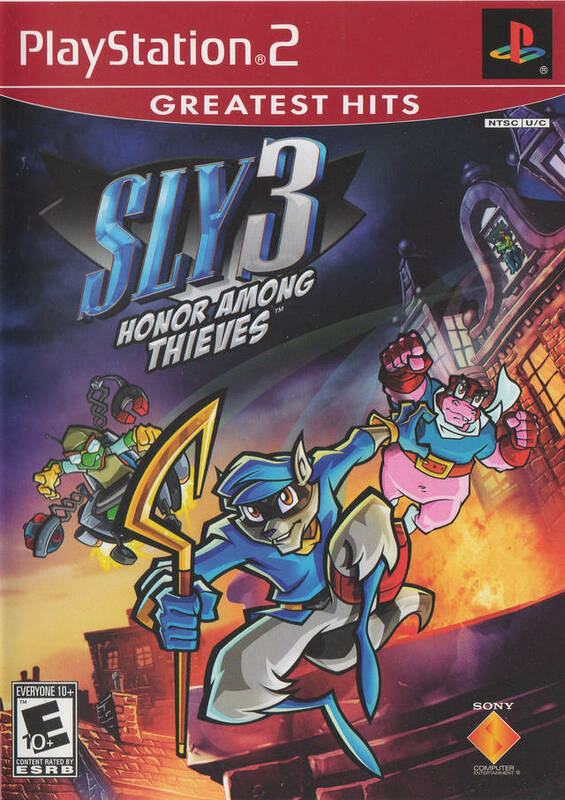 Sly Cooper 3 was released only one year after Sly Cooper 2 (2004) but it was leaps and bounds ahead of the second game as far as game play. Sly Cooper 3 was my favorite in the series, but what makes it so much better than the rest? Well, let’s find out. Introducing, Nathan Drake, the newest Sony mascot for the PS3 generation. Video game mascots, rarely transfer over to next generations smoothly. Crash Bandicoot, Spyro, Lara Croft, Sonic, Jak and Daxter, Sly Cooper, and Ratchet and Clank, are all examples of big franchise mascots that slipped up, disappeared or had a rocky start on the next generation after they were created. Hence, the need for new mascots whenever a new system comes out. After an incredible run from the PS2, the Playstation 3 was announced to launch in 2006. 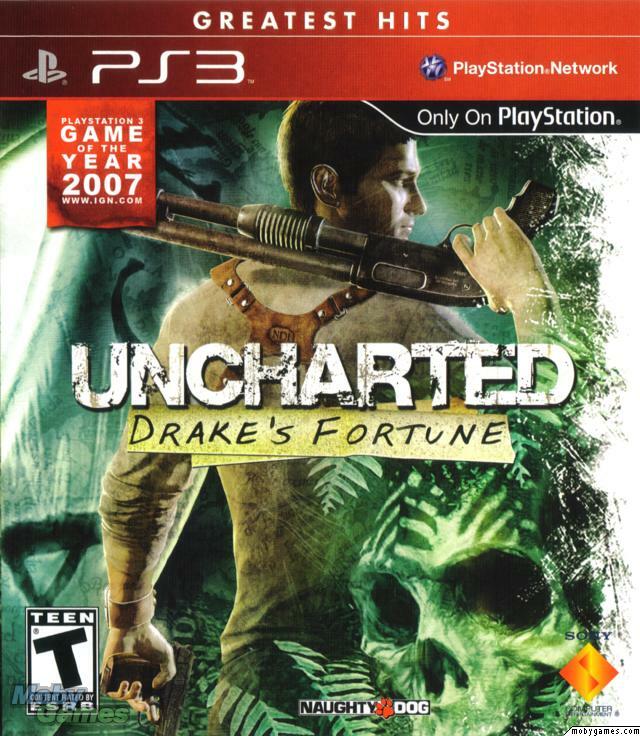 The system launched on November 17th, 2006 and two days later Uncharted: Drake’s Fortune was released for the PS3 as an exclusive. So did Sony and developer Naughty Dog find treasure with Drake? Well, read my review to find out. Sly Cooper 2 was a huge change in the direction of the franchise. Continuing on my quest to beat the Sly Cooper HD Collection, I turned my attention to Sly Cooper 2: Band of Thieves recently, and wow, I was not expecting what I played. 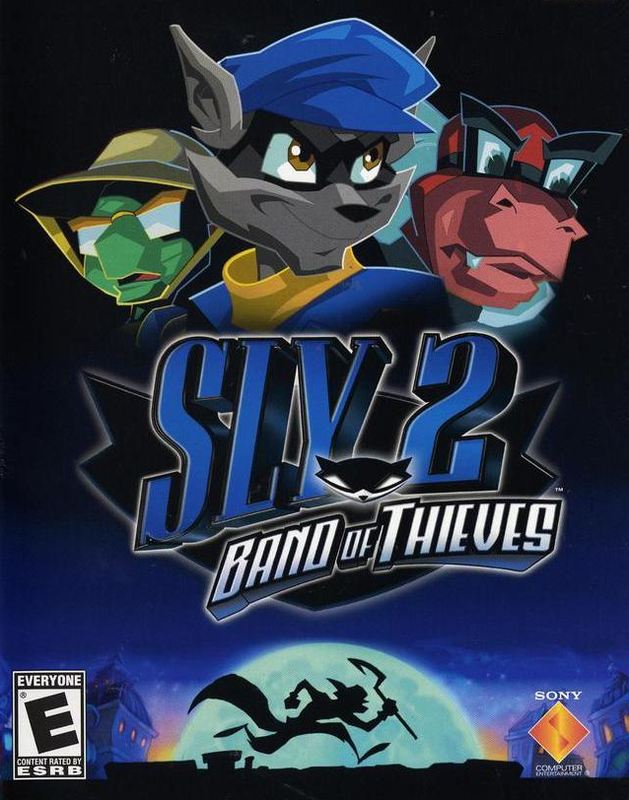 Sly 2 was released only a year after Sly 1, but in 2004 they changed a whole lot of things. Some franchises like Mega Man, Contra, and Street Fighter, you know what you are going to get. There isn’t going to be any ground breaking new features in the game, but with some franchises like Resistance, and now Sly Cooper, the sequels change the entire direction of the franchise. So what was so different from the first to the second Sly Cooper? Well, where to begin? Let’s start with the trailer. Please don’t pet the wild life. In the summer of seventh grade, (2003) my house was the place to be. I would usually have four to five friends at a time there either playing sports or video games with me. Seventh grade was also the time that my friends and I started to hang out with girls. That became more complicated as I didn’t want to invite them over to my house with my dad around in fear of him embarrassing me. Occasionally, my guy friends and I would play basketball at my church that was just a couple of blocks down the road from me. The church was almost always open, and we soon discovered that we could explore it. We headed down into the basement where my Sunday school classes used to be held, to find that the basement had changed quite a bit. Instead of little tables and chairs, we found a gold mine. By gold mine, I mean a few beat up couches around an old television, a Nintendo hooked up to it and towers and towers of free Mountain Dew Code Red stacked around the place. It was heaven, well heaven for seventh graders. So whenever we wanted to hang out with the girls, we took them to our secret hangout place. Nicknamed “the hangout” (original, I know). One of these times in “the hangout”, we decided to play the Nintendo and the game that was in it was a strange one that featured a caveman like guy running across the screen jumping over obstacles and eating fruit. We never got too far into the game, dying usually in the second or third level but it was enough entertainment for us even when hopped up on Mountain Dew. That game? 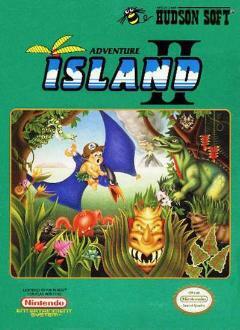 Years later I discovered it was called Adventure Island. Super C actually stands for Super Contra not Super Clone. If I wanted to be perfectly honest about Super C aka Super Contra, I would just copy my review of the original Contra and paste it in this blank space. 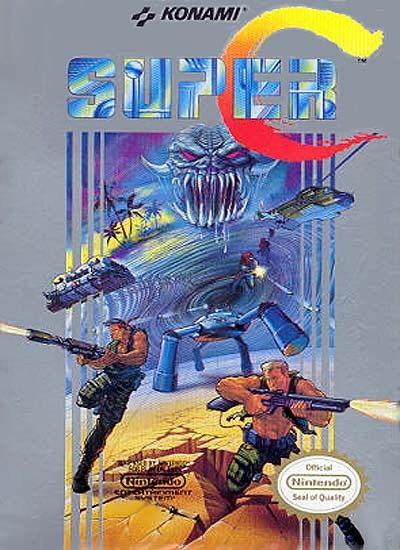 Super C is almost an exact replica of Contra, much like how Mega Man 1-6 are pretty much the same game with different bosses, Super C is the same game as Contra except for different bosses. Once again I’ve found some nut job who beats this game in 16 minutes, so enjoy the incredible run of Super C if you wish.